Food and Wine Members of the Chaîne des Rôtisseurs enjoy an evening at Mana Contemporary. Mana Wine and the New York Chapter of Chaîne des Rôtisseurs assembled an evening of art, food and wine for their members at Mana Contemporary. 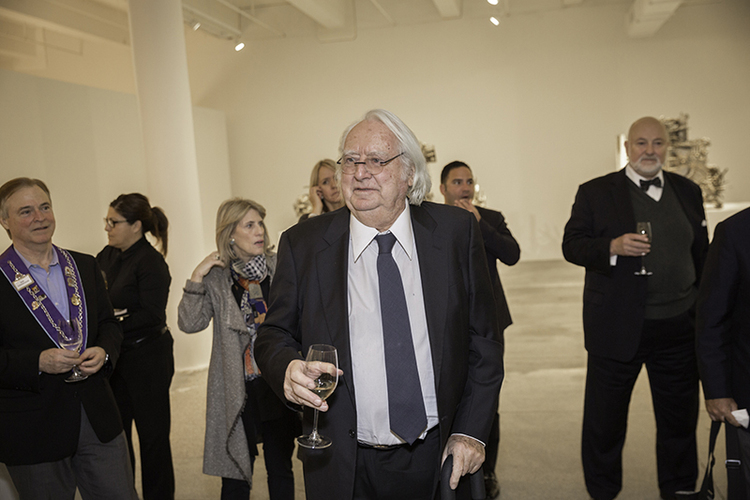 Guests were met by renowned architect Richard Meier for a private viewing of the over 300 architectural models housed in The Richard Meier Model Museum. The guests enjoyed a reception of passed canapés and Champagne while exploring the collection. After viewing the model museum, Craig Polignano, award-winning chef of The Ryland Inn, prepared a superb 5-course repast as members continued to bask in the beautiful backdrop of Mana Contemporary. They were able to dive into the treasures of locally sourced, deliciously executed cuisine, matched by a fascinating array of wines from the Chaîne cellars. The Chaîne des Rôtisseurs is the world’s oldest international gastronomic society, founded in Paris in 1248. It is devoted to preserving the camaraderie and pleasures of the table and to promoting excellence in all areas of the hospitality arts. Chaîne is based on the traditions and practices of the old French royal guild of meat roasters. Revived in 1950, the society has professional and amateur members in more than 90 countries worldwide. In the United States, there are nearly 130 chapters, each offering a variety of culinary activities to suit the interests of local members.